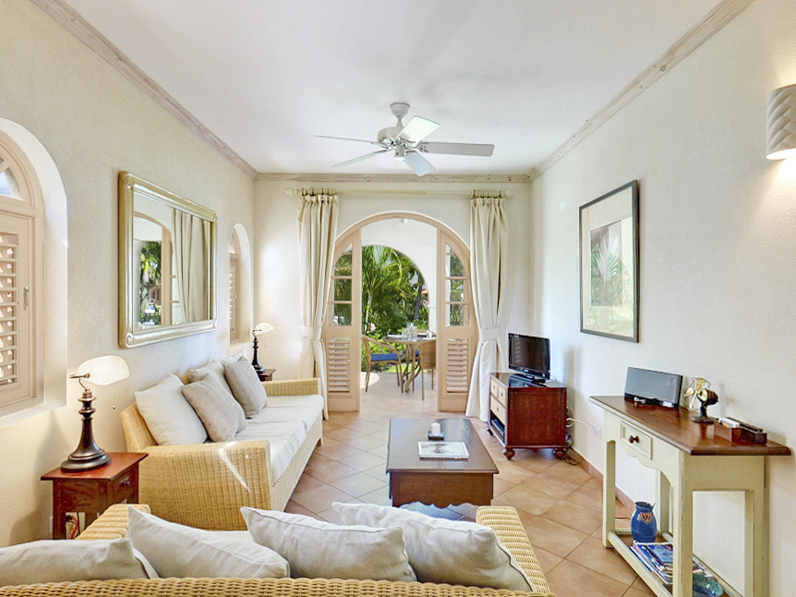 The living room is bright and spacious, boasting a lovely light toned décor. Within this living area, you will find a sofa bed, which is ideal for extra guests, so please enquire for more details. 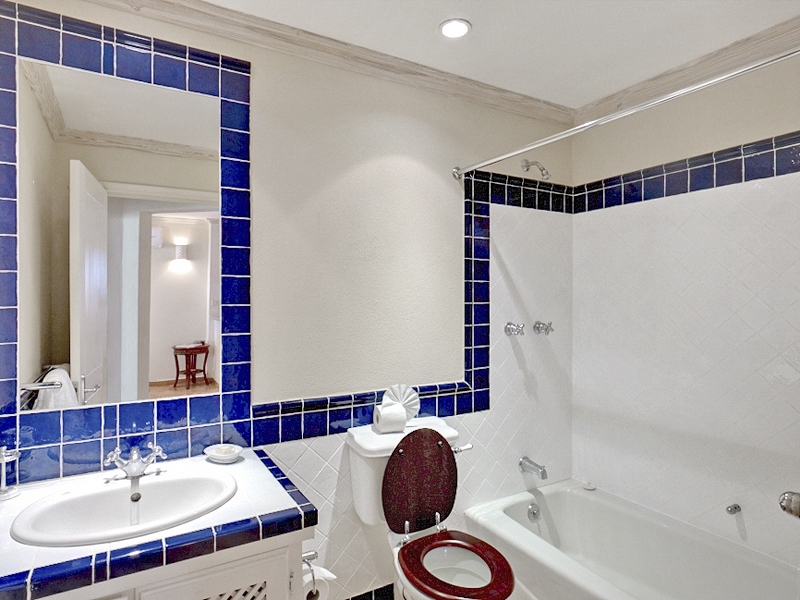 Blue titles decorate the bathroom and a Nespresso machine with starter pods is located in the well-equipped kitchen. 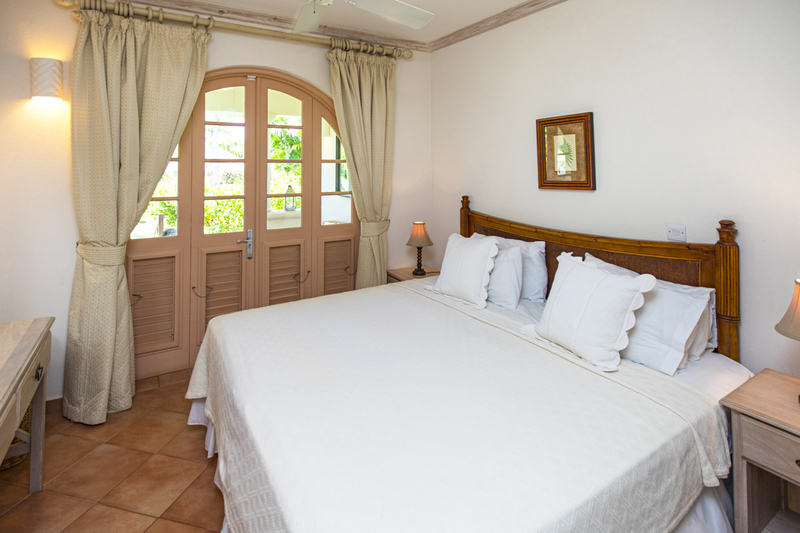 During your stay at Sugar Cane Apartment, you will benefit from ceiling fans throughout and air conditioning in the bedroom. 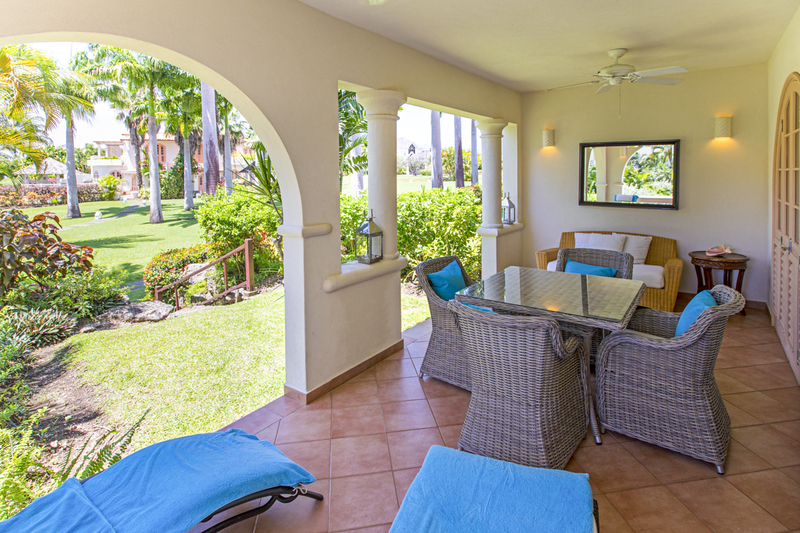 The sizeable bedroom leads out onto a quaint little patio with dining for four. Here, you can invite guests over for drinks and dine al-fresco, or enjoy some much-needed solitude in the sunshine and evening breeze. 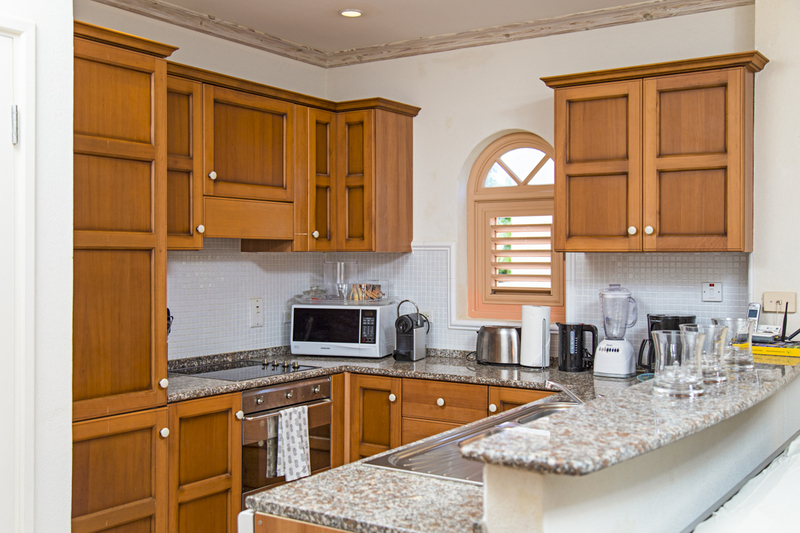 Located within minutes of the buzzing and historic Holetown and the luxury Royal Westmoreland estate, staying at Sugar Cane Apartment leaves you with plenty of exciting options to enjoy. 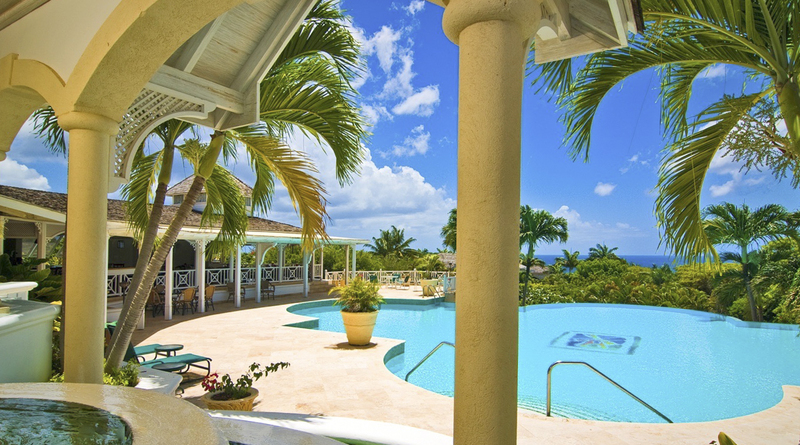 Royal Westmoreland estate is a gated community full of lavish holiday villas on the island’s West Coast. 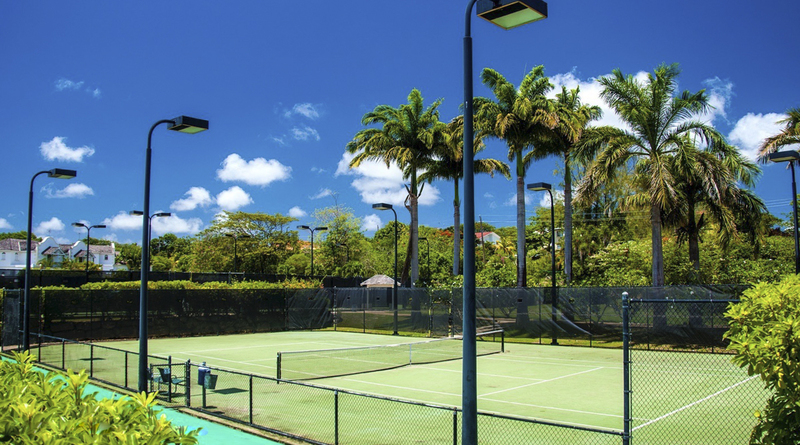 On the estate, you will have access to two wonderful pools, a restaurant, bar and gym. The site also boasts a championship 18 hole golf course and 750 acres of beautiful land that oversees fantastic views. 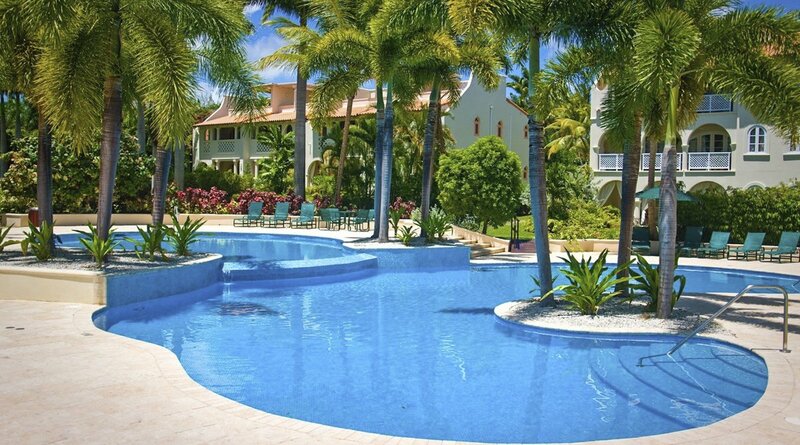 Colony Club beach is a lovely beach destination where you’ll find yourself completely relaxed while taking in the serene surroundings or having a dip in the designated swimming area. If you’re up for an adventure, then look no further than the thrilling water sports available – from water skiing to paddle boarding! Colony Club hotel also has plenty of refreshing spa & wellness services available including massages, facials, yoga, Pilates and a beauty salon. Dining at Colony Club is a treat. Laguna Restaurant is an open-air venue that specialises in serving a range of beautifully fresh seafood, which can be devoured whilst looking out at the hotel’s lush gardens. Tasty aperitifs and cocktails can be enjoyed at the dazzling and Laguna Bar which regularly hosts live entertainment.